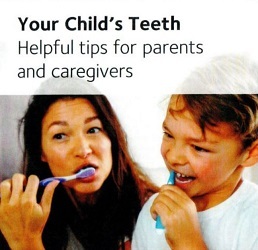 Childhood is the time to begin vital dental care for several reasons. It sets a child up to feel comfortable when in the hands of a trusted health care professional for healthy smiles that last a lifetime, and it allows the early detection of certain maxillofacial conditions that affect developing smiles. Pediatric dental care also prevents the progress of other unhealthy dental conditions such as cavities. Dr. Anil Chowdhary welcomes children to his family practice in Fremont. All Care Dental has the patience and warmth that children need to feel safe and secure throughout their dental treatment. Our youngest patients benefit from the interactive and gentle care Dr. Chowdhary uses to make treatment as comfortable as possible. He encourages family members to accompany children, bringing whatever toys or props that may help them relax. Dr. Chowdhary gives tips on keeping gums clean and avoiding baby bottle decay, as well as recommendations for healthy snack choices. Baby teeth need the same dental care as adult teeth with preventive exams and cleanings and restorations such as with fillings and sealants. Sealants are a clear coatings that can be placed inside the deep contours of teeth to prevent cavity development. Fluoride treatments can strengthen enamel and help prevent cavities. Early developmental issues of the maxillofacial area can be addressed by routine exams. Muscles and skeletal development are carefully observed to detect if conditions such as thumb-sucking or tongue thrust are impacting oral health. To enhance anatomical profiles, ensure the proper development of the jaw and treat malocclusion with early orthodontic interventions when recommended by the dentist. This can greatly prevent developmental issues like overcrowding and gaps. 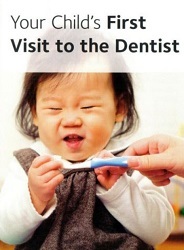 At All Dental Care, we welcome children to an excellent start to their oral health care. We give children the time and accommodations they require to feel comfortable, and we engage them in their treatments., so they begin lifelong habits that help their teeth radiate health and beauty. Call Dr. Anil Chowdhary in Fremont today to schedule an appointment.